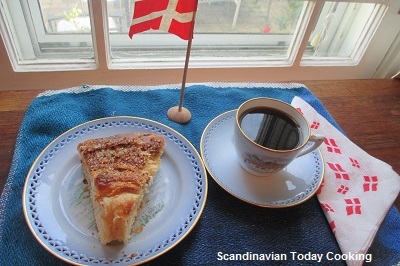 Over the years a variety of Danish pastries were developed and became known as wienerbrød in Denmark. 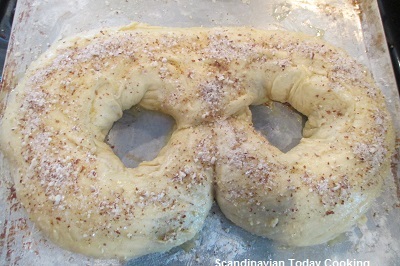 One of the wienerbrød we are making today is the Danish Kringle. 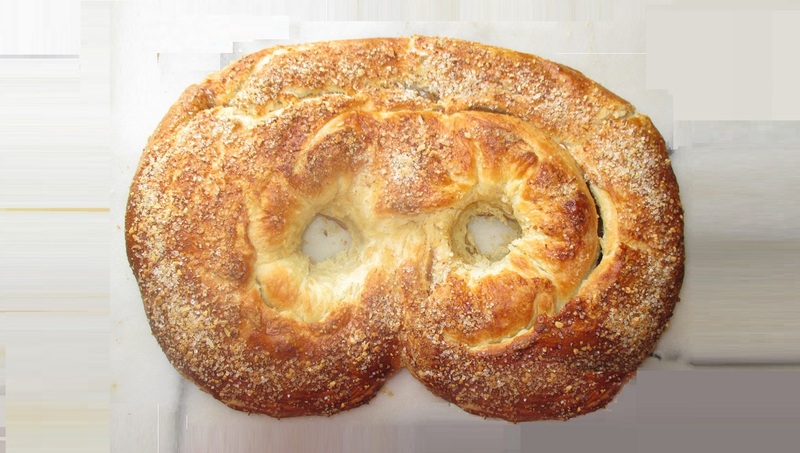 This Danish Kringle is a butter-layered Danish pastry shaped like a pretzel made from a yeast dough and filled with a marzipan mixture. However, the Danish Kringle can be made of different types of dough too. Kringle has a long history in Denmark. 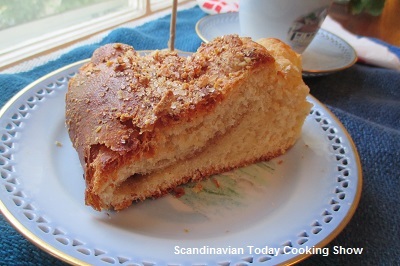 It became popular to serve the Danish Kringle during birthdays. Growing up in Denmark our family always has Danish Kringle during special events such as birthdays too. Birthday celebrations included homemade hot chocolate served in a Royal Copenhagen chocolate pot and whipped cream in a pretty bowl too. We would enjoy homemade rolls with butter too. A little later slice of Danish Kringle. Then finally we would have the Danish birthday cake with lit with candles and sing happy birthday. Because the Kringle was a must during birthday celebrations, you can only imagine how special the Danish pasty was for us. 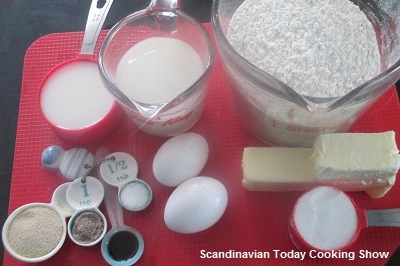 Below is an easy version to make the Danish Kringle. Dissolve yeast in milk. Heat up the heavy cream to approx. 100F and add it to the yeast mixture. Leave it for 5-10 min. Add eggs and sugar in the bowl. Mix it up and add, vanilla extract, cardamom, salt and mix it up. Next add milk and yeast mixture and mix it. Add 1/2 of the flour and mix it well before you add approx. 1/2 of the remaining flour and mix it for a couple of minutes. Pour flour on the table and mix the dough by hand. Cover it up with plastic wrap on a plate and leave it to rise for about 1 hours. Take the butter and sprinkle it with a little of the remaining flour and roll it out with a rolling pin and/or mix it by hand. In the meantime mix the following for the filling, sugar, butter and marzipan in a bowl. Roll out the dough in a circle on a floured surface and place the butter in the center. Cover up the butter with the dough and roll it out. Fold it up and roll it out approx. 3 times. Roll out the dough approx.30″ long and approx. 8″ wide and place the filling in the center. Cover the filling with the dough, seal it well and shape the kringle. Place the kringle on the baking sheet which has been sprayed with oil and sprinkled with flour. Leave it to rise for approx. 1 hour. Topping for the kringle is 1 egg mixed w/ 1 tbls. milk. Brush it on the dough and finally sprinkle it with the chopped almond and sugar mixture. Bake the kringle in the oven for approx. 35-45 min. at 400F.